"This is an amazing script. 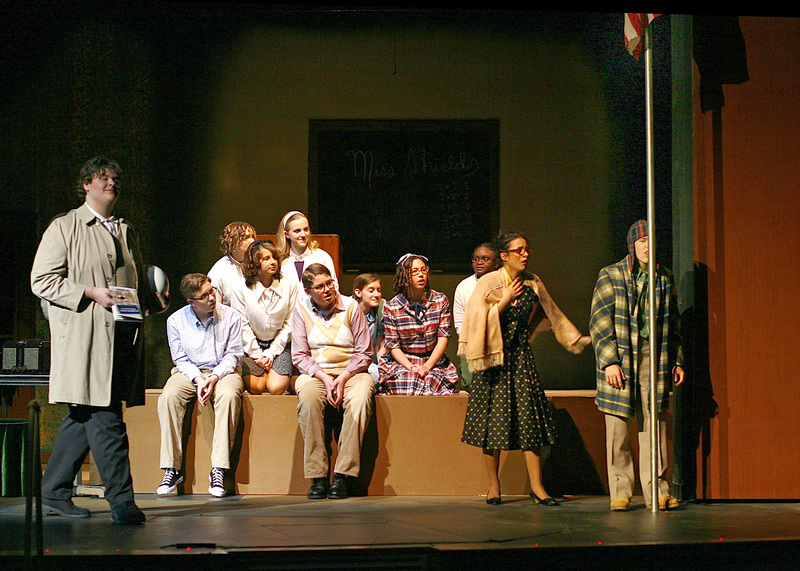 The stage directions are complex but necessary to the success of a production so full of humor and critical timing. The audience loved the show and said, "It's got everything in it we expected from the movie...and more." They loved it. 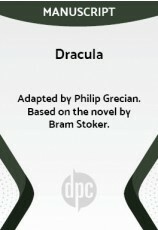 Thank you for providing such an excellent script. It's a work of art!" 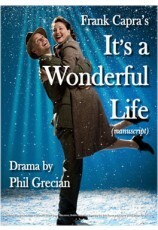 Review by Jeffrey Emmerich, College of the Albemarle, Elizabeth City, N.C.
"This play had broad appeal and because of the way it closely followed the movie, audiences loved it! 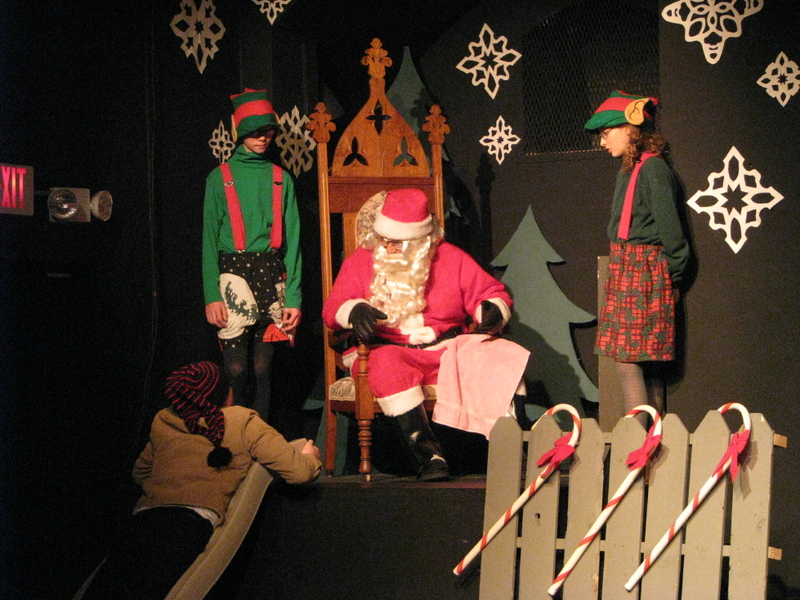 Our narrator was closely interwoven into each scene which worked extremely well! Bravo!" 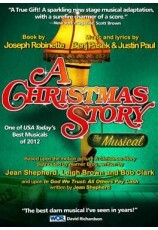 Review by Debbie Bell, South Carolina Children's Theatre, Greenville, S.C.
"We had sell out audiences for all shows. Several people said they enjoyed the play even more than the movie." Review by Dixie Belcher, Sapulpa Community Theatre, Sapulpa, Okla.
"Nicely written, conforms well to Jean Shepherd's original stories. 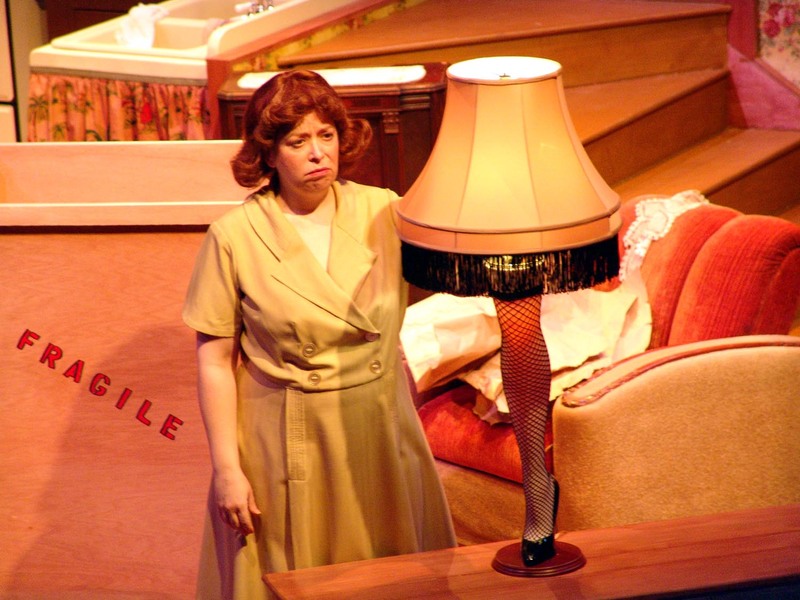 Thank you for including info on how to get the leg lamp." 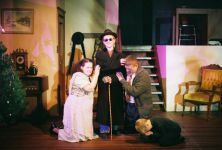 Review by Toni Neri, Somerset Valley Players, Somerville, N.J.
"Very successful adaptation of the beloved movie -- our audiences loved it and the run sold out." Review by Linda Thayer, Good Company Players, Fresno, Calif.
"Has all the fun of the movie. The top grossing play in the last ten years." 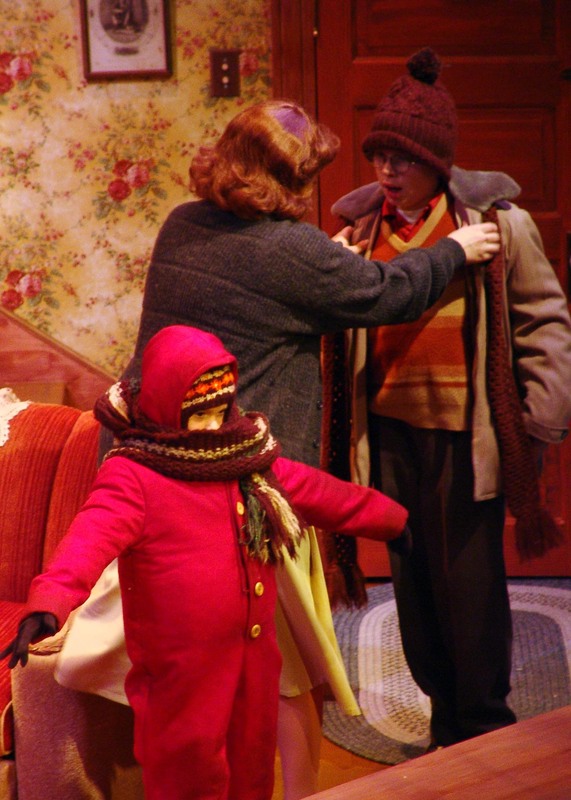 Review by Pat Kardas, Racine Theater Guild, Racine, Wis.
"A Christmas Story gave our theatre an opportunity to use a mix of young and old volunteers to provide a wonderful holiday production. This play lends itself to creativity." 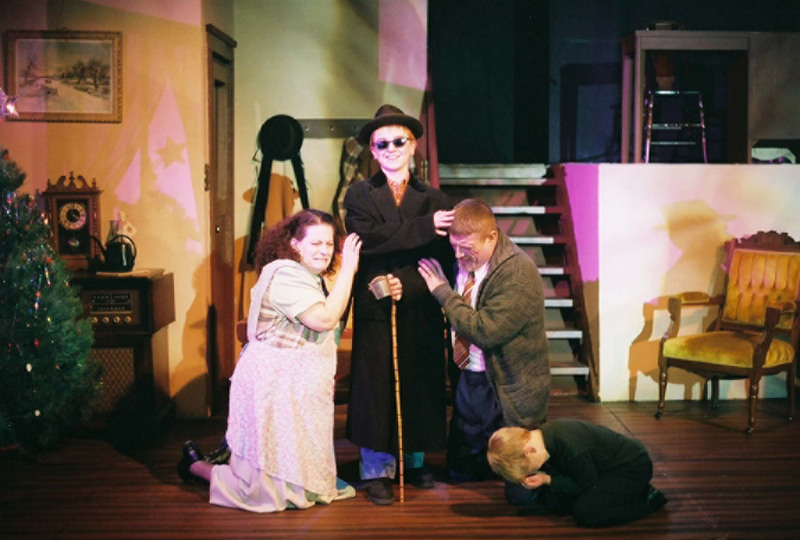 Review by Mary Joe Holewa, Troup Theatre, St. Cloud, Minn.
"What a delight. Very true to the original movie. The cowboy monologue was hilarious. I still get requests to do it." 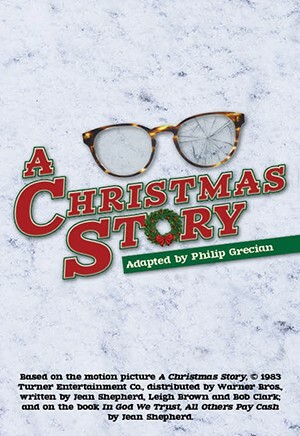 Review by Phil Johnson, Greater Escambia Council for the Arts, Brewton, Ala.
"A Christmas Storyhas become a much-anticipated part of our holiday production rotation. 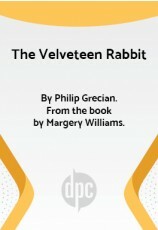 It holds closely to the original stories of Jean Shepherd and, of course, the classic film. An excellent show with which to begin the season." 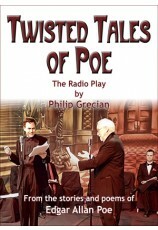 Review by Joseph Ferreira, KP Drama & GAPS, Wrentham, Mass. "Audience liked the play version better than film ... 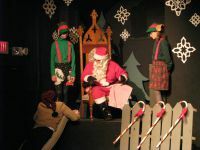 Especially liked size of cast and the flow of the storyÑadult Ralph's inclusion in and out of story was fun; parents' scenes were excellent." 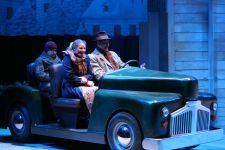 Review by Heide Fagan, River Theater Company, Charlestown, N.H.
"The play version has captured every moment of the movie. 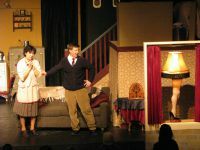 Audiences were quoting lines right along with the actors. We'll do the show again soon." 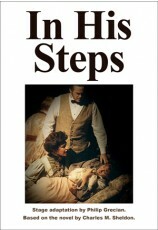 Review by Deborah Baldwin, PACE, Columbia, Mo. "Great play! [It] was a smash hit. 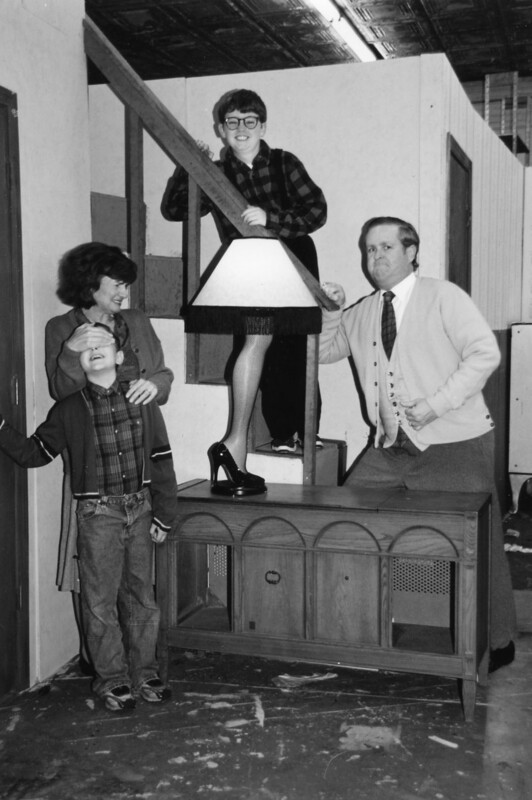 Thanks for including the leg-lamp site as a link on your website." Review by Carrie Gerrard, Lake Stevens High School, Lake Stevens, Wash.
"An extraordinary show! It drew people in who had never been to our theatre before. 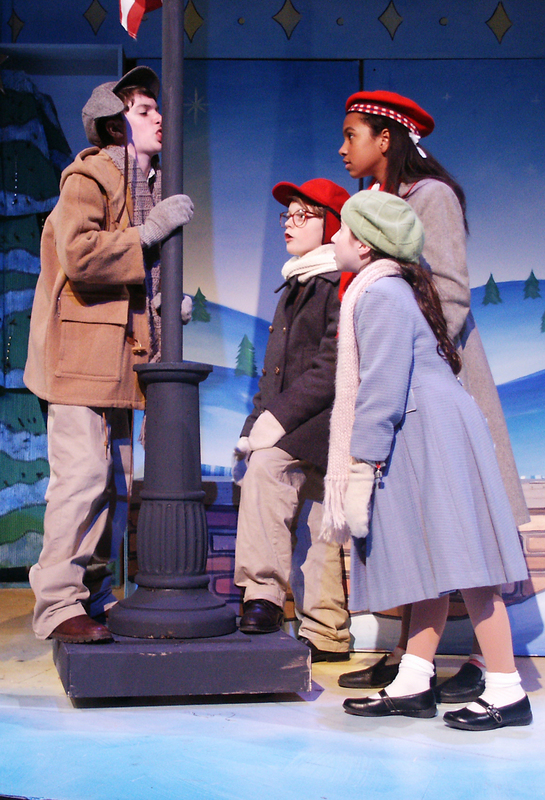 The cast had a great time and compliments abounded. It was the perfect show for our group!" 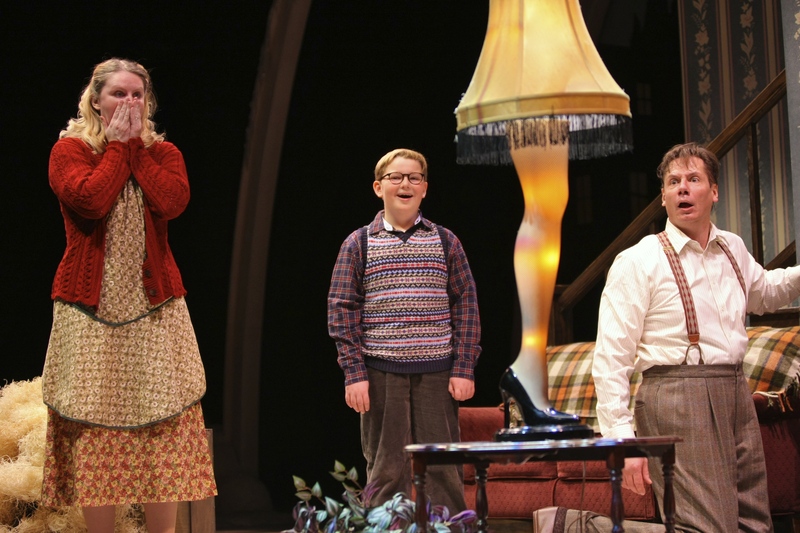 "The script for A Christmas Story is whimsical and witty, blending excellent writing with exceptional humor. I knew what was coming, but I laughed every time. 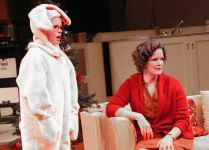 I haven't enjoyed a play this much since I was a daffodil in kindergarten." Review by Kathy Aldrich, Angola High School, Angola, Ind. 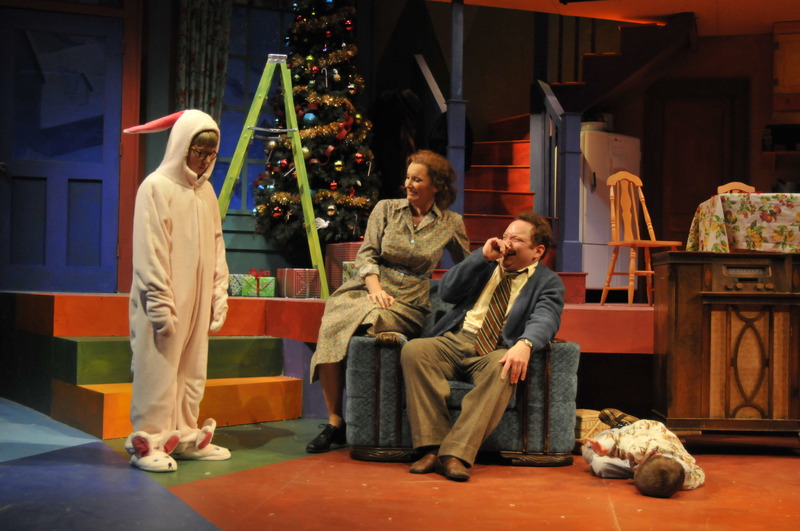 "A Christmas Story was a wild success and became the most successful play in our company's 75-hear history!" 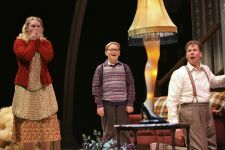 Review by Scott RC Levy, Colorado Springs Fine Arts Center, Colorado Springs, Colo.
"I thoroughly fell in love with the show. This version is quite meaningful. It plays well." 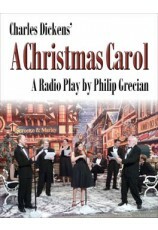 Review by Van Kaplan, Executive Producer, Pittsburgh Civic Light Opera. 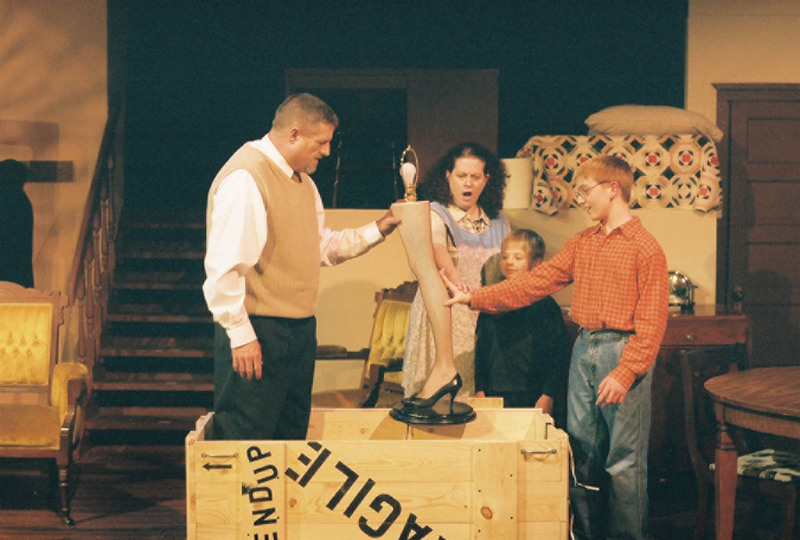 "The show is prop heavy, so be sure to gather up your props early in the process. 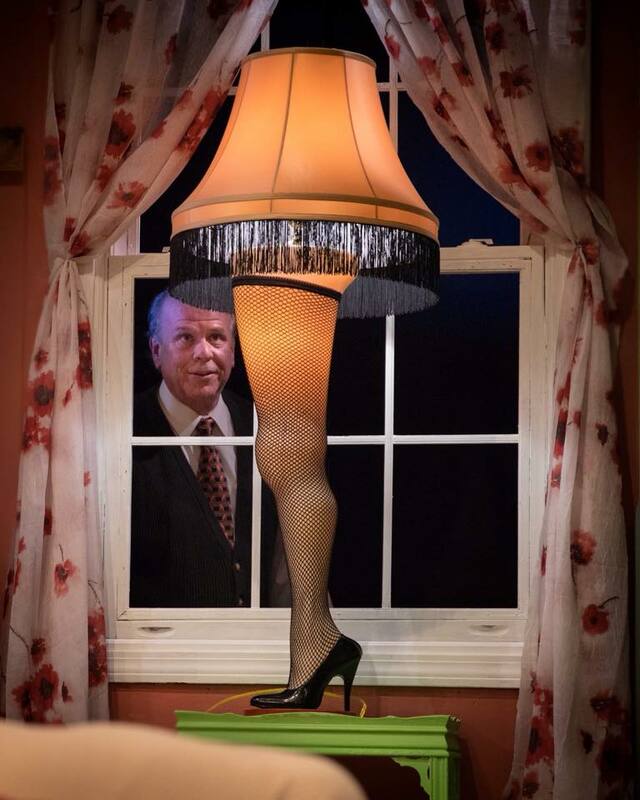 We also ordered the leg lamp online (full size). It was expensive, so we sold raffle tickets during intermission and raffled it off during the final performance. " Tip by Keli Solomon, Sherman Players, Sherman, Conn.
"Make sure you have allowed for an individual prop person." 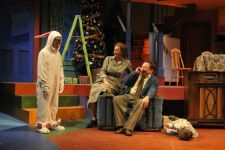 Tip by Mary Joe Holewa, Troup Theatre, St. Cloud, Minn.
"Order the leg lamp. It's so important." 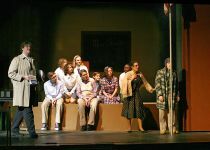 Tip by Phil Johnson, Greater Escambia Council for the Arts, Brewton, Ala.
"If you can substitute a revolve for the swinging fence/wall, you create greater opportunities for creative scene changes, especially on smaller stages." 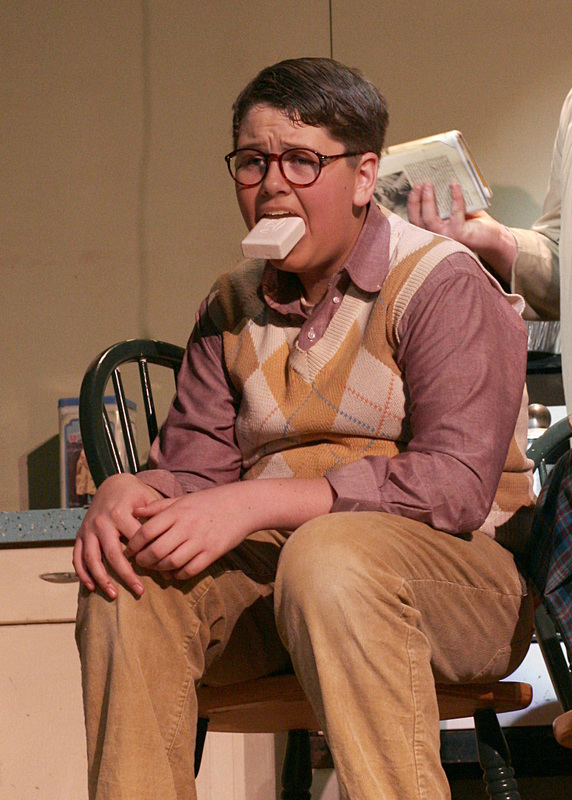 Tip by Joseph Ferreira, KP Drama & GAPS, Wrentham, Mass. "We produced this play on a small stage where you cannot build a true two-story setÑdon't be intimidatedÑthere are great creative solutions to the scenery." 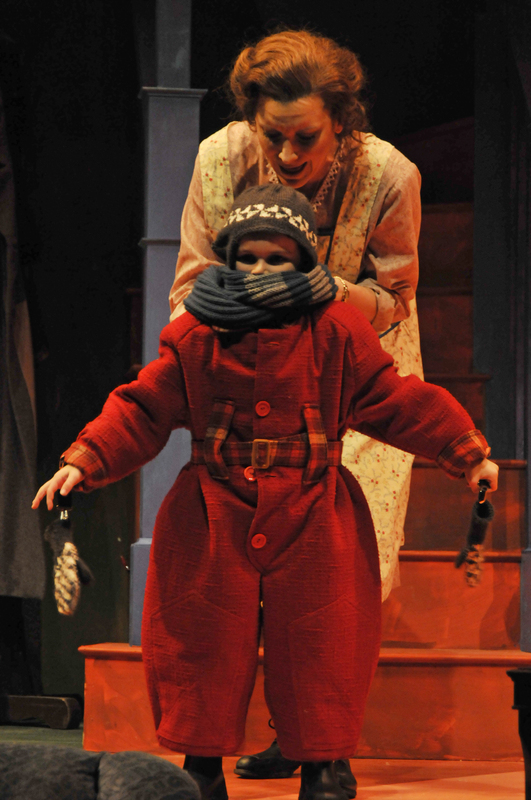 Tip by Katie Simons, Corinth Theatre Arts, Corinth, Miss. "The props are tricky. Start collecting/making them early on." Tip by Erika Nguyen, Chance Theater, Orange, Calif.